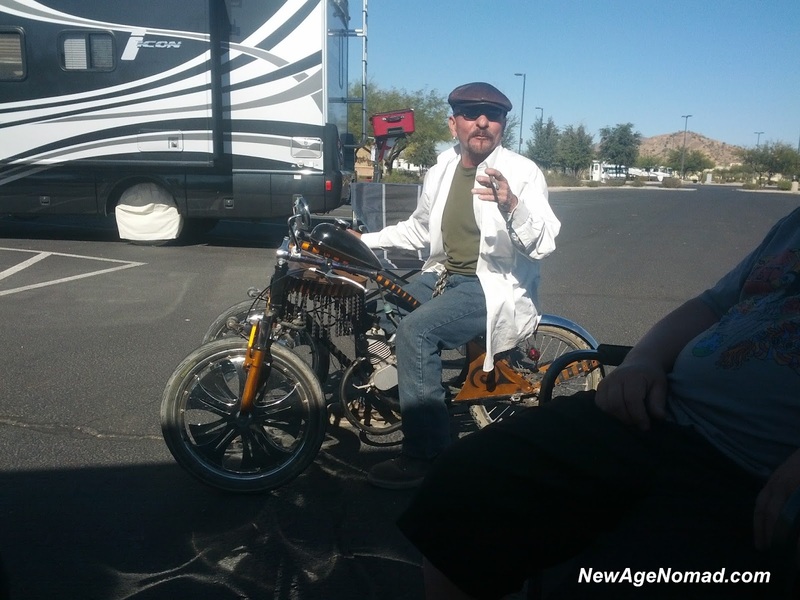 New Age Nomad: Adventures in a parking lot. Adventures in a parking lot. Tamale festival, and saving the best for last the family came to visit on several occasions. Here is a few pics. 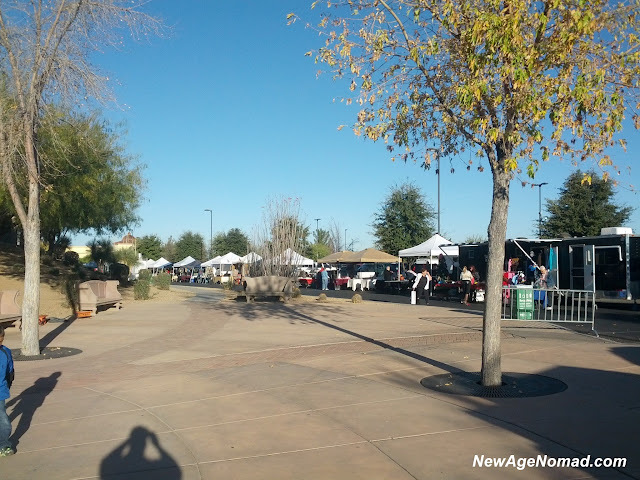 Pic of the the Tamale festival, which had about 100 vendors. Had about 30 that sold Tamales, and each one had samples was a meal all by itself! My Tamales of choice a dozen Spicy red chile with pork. Another Interesting rig complete with a hoist for unloading and loading the motorcycle. The ramp to take the side by side down takes a full days work to put up, and take down, so takes a bit longer then my set up or take down which consist of folding in the TV. Cold morning beers. No not for drinking cmon now, it too early. With the shortest day of the year quickly approaching, and a refrigerator powered by the sun. Placing these in the window overnight allows them to cool down to the outside temperature which is about 35 to 40 degrees at night making it a lot easier on the fridge! Candy also hamming it up for the picture. Backpack I found on a hike out onto the reservation. One of 100000's that litter the deserts illegal immigrants use them to carry food, and water until the run into city, then they are thrown away to avoid looking suspicious in town. Good Day! where is this parking lot? and LOL on the A kodger spotting! i found their blog the other day. Tucson I know 6 spots in the area that our free. WOW I'd love a tamale festival....! Next year! !